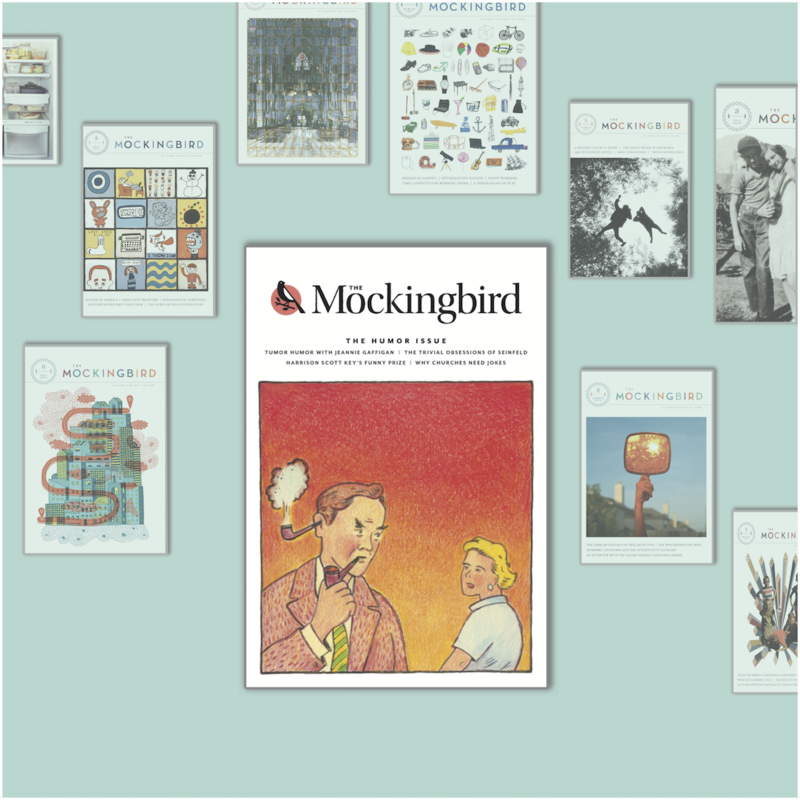 Mockingbird is devoted to connecting the Christian message with the realities of everyday life in fresh and down-to-earth ways. With our annual NYC Conference just over one week away, here’s the final round of previews for our breakout sessions, which will be available during the 3:00pm block on Friday, April 26. You don’t want to miss Part 1 or Part 2 either. Register today! Newcomers warmly welcomed. Human beings are wired for stories. In fact, we’re so wired for stories, that we simply can’t help inserting ourselves into just about every story we hear. Since Jesus is the one who wired us this way, it’s not surprising that when he ministered here in the flesh, He oftentimes chose to teach us about God not with crisp, systematic statements of doctrine, but with stories we call parables. Going against all our natural religious impulses, the parables have the capacity to turn our theological world’s upside down: Tax collectors and prostitutes are declared righteous, prodigal sons are embraced, even dishonest stewards are lauded. There’s a heretical Samaritan made into a hero, a kingdom filled with outcasts and a group of lazy laborers that are given the exact same reward as the hardest working among them. Jesus teaches us in the parables that God’s kingdom happily includes a bunch of Scoundrels, Buffoons, and Ne’erdowells. Why them, Lord? Why me, Lord? Those are the questions we’ll look to explore in my breakout. Because I am a contrarian, I’m not going to tell you what to expect from my upcoming breakout session, entitled “Be Your Worst Self.” Instead, I’m going to tell you what not to expect. Do not expect to be given instructions on how to wash your face. Do not expect to be yelled at that you’re not doing enough. Do not expect to see any inspirational memes written in swirly cursive against a mountain backdrop. Do not expect to be agitated into becoming the misconception of a Proverbs 31 woman (or the partner of one). Do not expect to escape without hearing an awkward joke I wrote when I was ten. Do not expect for my family secrets to remain hidden. Do not expect to leave without questioning whether you should switch deodorants. Do not expect me to promote my “brand,” be an Instagram influencer, invite you to join my multilevel marketing company, or advocate for self-esteem. Do not expect me to attack Liam Neeson. And especially do not expect me to let you leave without telling you about the hill I would die on. Other than that? Anything could happen. Which hopefully will look a lot like grace as it’s appearing to me right now. See you soon! I’m not gonna lie; orange is a good color for me, and unlike Leigh-Anne Tuohy in The Blind Side, it’s in my color wheel. But I never expected I’d be wearing orange in a jail cell after being charged with a DUI. My stay was short but long enough to write on a piece of paper, “Nothing is wasted.” My DUI season ran nine months because I challenged the charge. It all seemed a bit cray that I was questioned while sitting in my running vehicle eating McDonald’s French fries. Yet someone had called the cops after they had followed my two-mile drive home from the drive-thru. Of course I thought later, “if only” I had walked into my home and turned off the truck. But then I would have lost the magic of the magical fires due to the February weather of the Icebox of the Nation. And while the embarrassment, remorse, and guilt hurt my heart, the blessings that came with the DUI charge overwhelmed me with thankfulness. I owned my story so my story didn’t own me. I learned more on the power of transparency and empathy, and saw God’s grace “big-time.” I was in a season of pain and then entered into another. God knew. He was always there waiting to make creative and redemptive use of what happened. I’m beyond deserving and still comprehending how God is always good even when we’re not. Watching Netflix’s new series, The Umbrella Academy, a scene jumped out at me. One of the characters, Luther, a giant gorilla of a man, nicknamed Spaceboy for his superhero exploits on the moon, is a sobbing heap on the floor of his late father’s study. He wasn’t grieving his father’s death, but his own death. Luther had been sent, alone, on a dangerous—and painfully boring—mission to the moon, instructed to send detailed daily reports back to earth. Assured this was important work, “for the safety of world,” as his dad put it, Luther dutifully carried out the mission. It’s the kind of thing people named Spaceboy do! 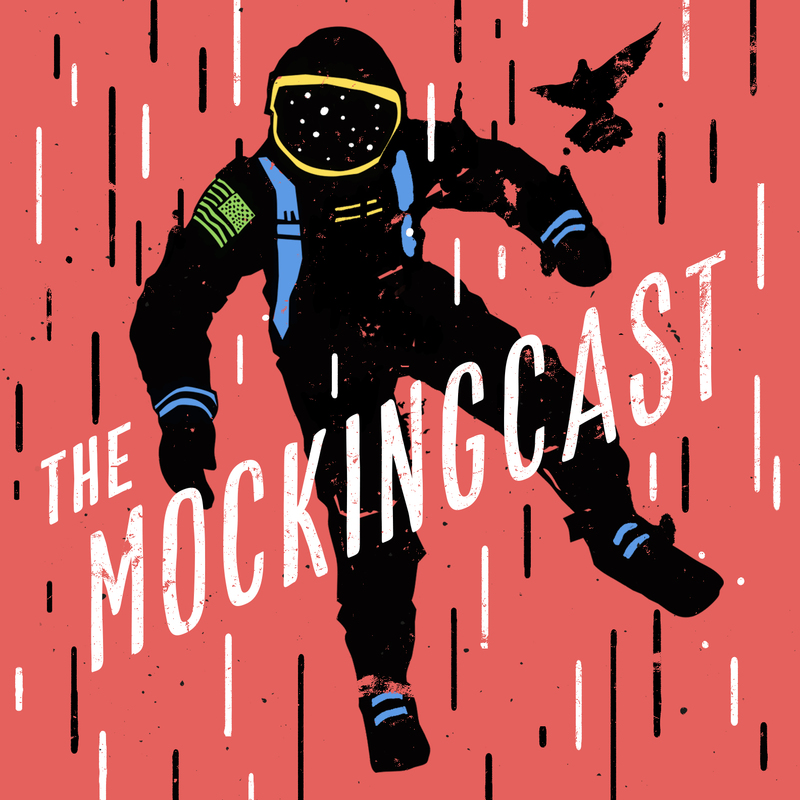 Gathered with his equally super-human, adopted siblings in their childhood home for their father’s funeral, Luther discovered a hidden cache of his reports. All of the reports he had sent back to earth were there; all of them unopened. He had given years of his life fulfilling his dad’s wishes, only to find out he had been sent on a fool’s errand. His reaction is one of the best portrayals of “ego death” on screen I’ve seen in a while. The show has a great cast (Mary J. Blige’s character is great) and a killer soundtrack. It’s worth checking out. My talk won’t have a single thing to do with The Umbrella Academy, well, except for the “ego death” part. We will explore what happens when we “die” before we die, and where God’s grace intersects. I’ll tell you my story, and I hope you’ll tell us yours! When I was eighteen, I joined a Pentecostal revival and spent four years looking for signs from God. I wanted a vision, a dream, just a little something to reassure me I was doing it right. Occasionally signs came. At least, I said they did. Jokes aside, I do believe in signs, and I also believe in the unexpected. In this session, we’ll investigate these themes not through personal testimony but through storytime/short fiction, which can be the back door into otherwise isolating concepts. The story is “The Rise and Rise of Annie Clark,” by poet/writer/ex-Jesuit John L’Heureux. Taking place in the 50s, this is the fictionalized tale of a woman who wants a sign from God and gets one, just not in the way she expects. You can read it here or come and be surprised. We’ll look at what the author says about the mechanics of grace. We’ll discuss themes from the story, such as sleeping in church and what this might suggest about our relationship to the divine. As a kid, I spent tons of time sleeping in church, so I feel I have some authority with this topic. We’ll also consider what makes effective faith-based fiction, if such a thing exists, and what this could mean about the nature of grace. 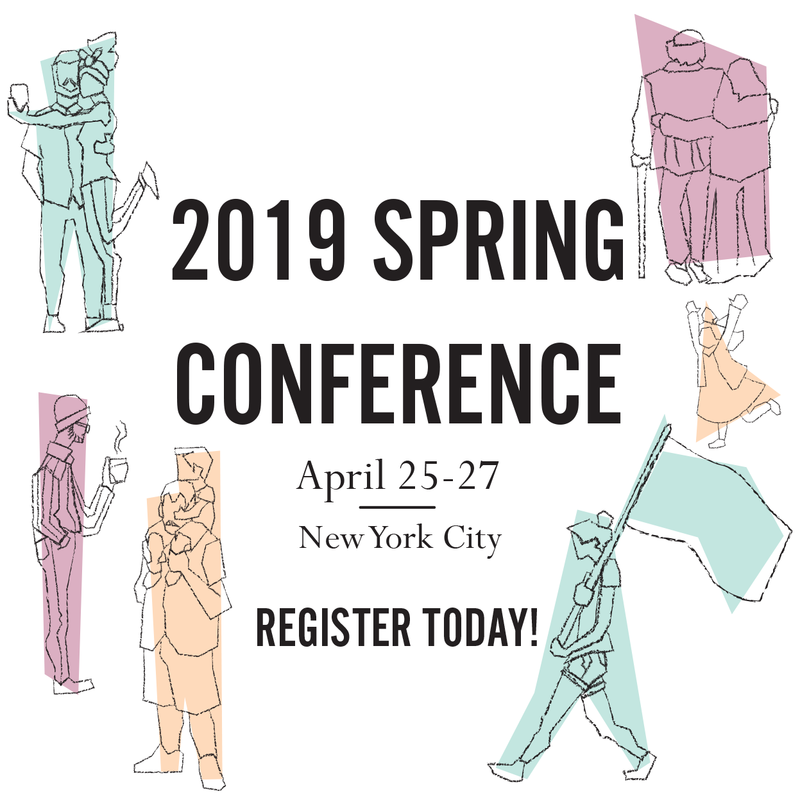 Register for the 2019 NYC Conference today! Featured image courtesy of Stellate Photography.